Mr. Pete Grotsky, of the Florida West Coast Section of the American Society of Mechanical Engineers, joined Team Duct Tape for this week’s meeting to mentor students on good interview and team presentation practices. He went over things like what makes a good Engineering notebook, dressing for success, posture, voice and attitude, and the importance of showing Gracious Professionalism from start to finish. Some important things to include in the notebook, Mr. Grotsky advised, is a table of contents, and tabs highlighting entries that show important points or developments in the team’s journey. Illustrations should be captioned. Entries should be made regularly, right up to and beyond qualifying competitions. Despite formalities, it’s also important that teams show they enjoy being there, that they’re having fun while they learn (without being goofy and immature!). FIRST, Mr. Grotsky reminded Team Duct Tape, can offer some very tangible, long term benefits in the way of skills and knowledge development, scholarships, and networking opportunities. Team interviews at competitions offer an introduction to interview experiences students might have in real life, answering questions about what they do and how they do it. 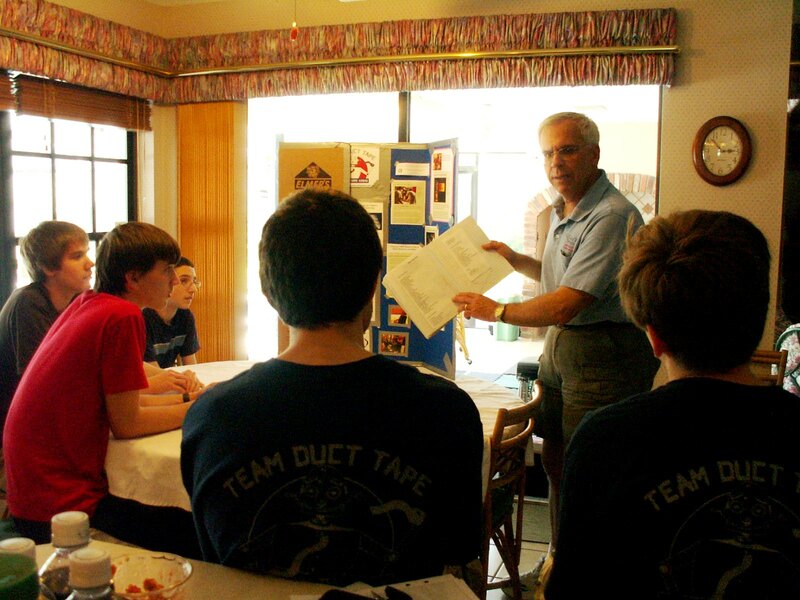 Team Duct Tape is very grateful to Mr. Grotsky for sharing his insights and experience with team members, and team members look forward to some real time interview practice at their next meeting.